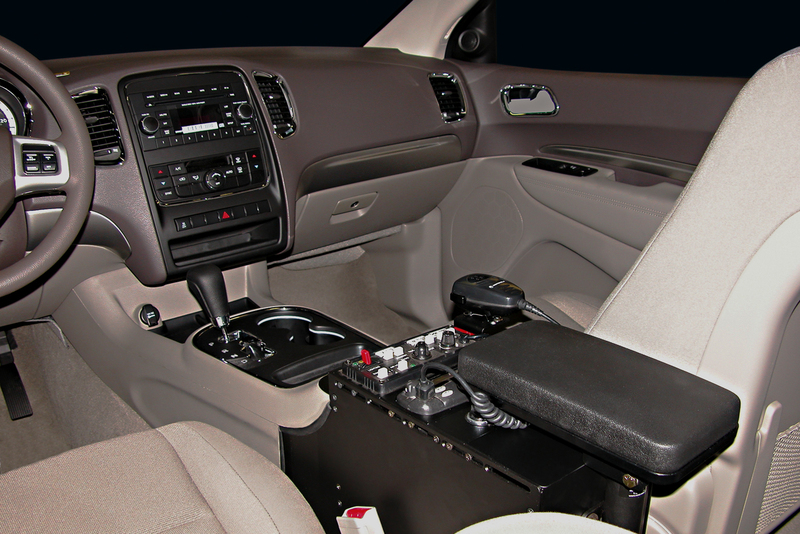 2012 – Newer Dodge Durango Console replaces the factory armrest /glove box. 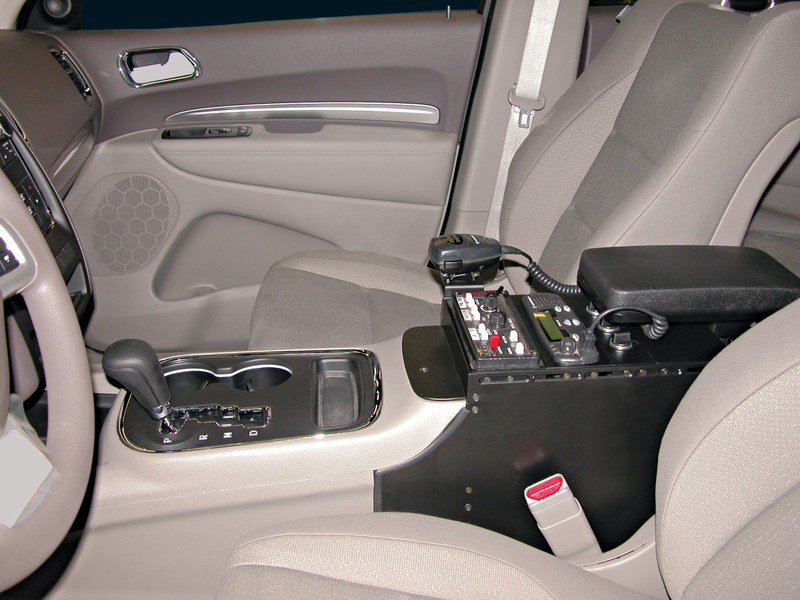 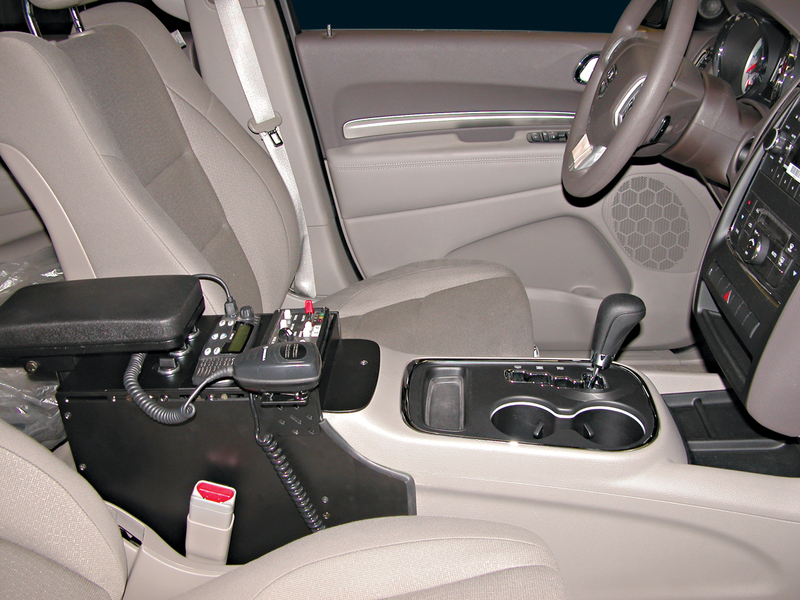 The AR-DUR12 is secured using factory mounting points, leaves the factory console intact for re-installation and accepts the HD-ARM armrest and other Control-Com accessories. 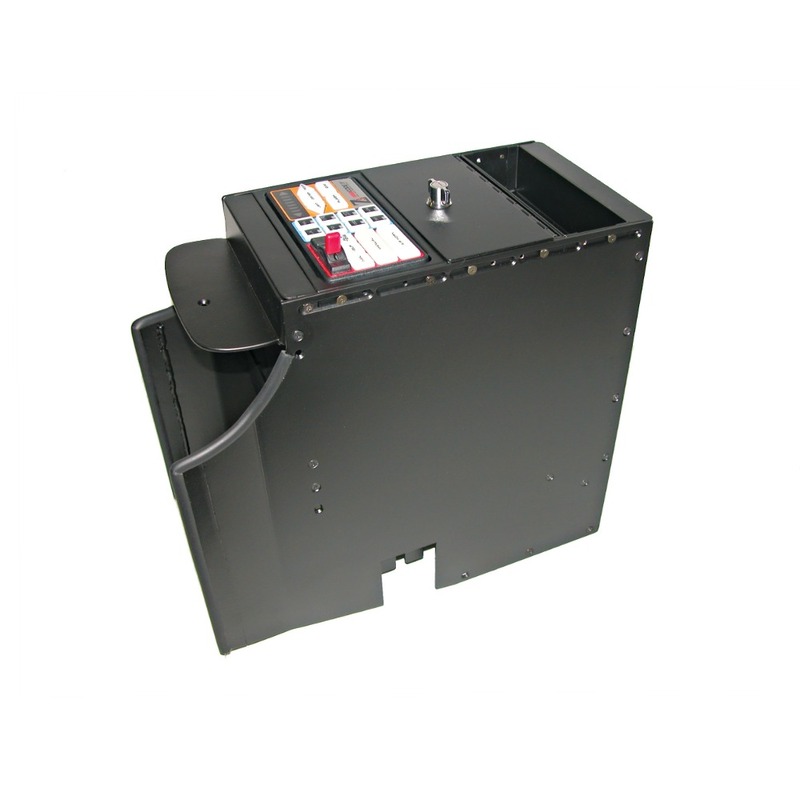 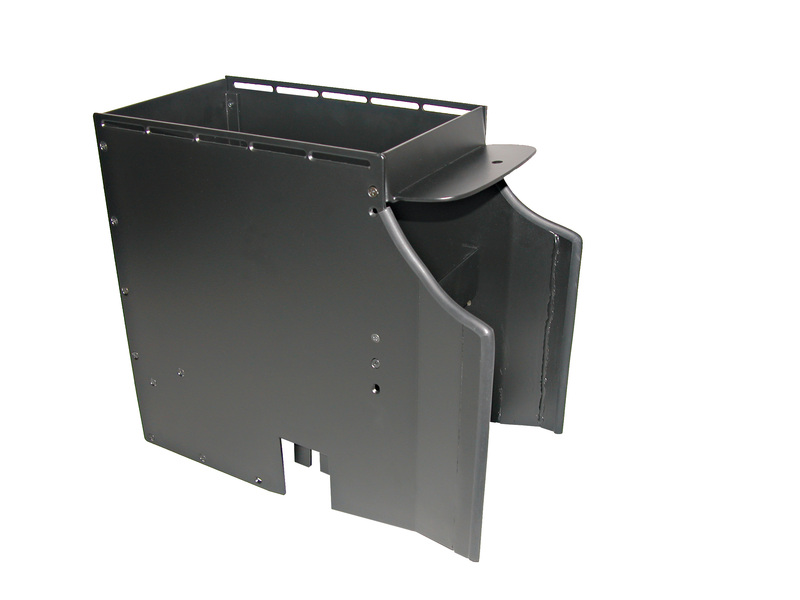 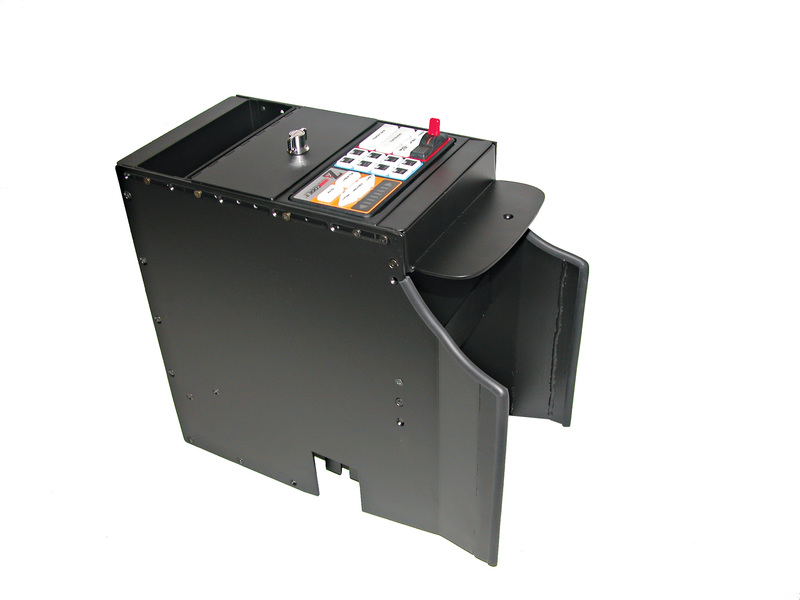 The console provides 12” of equipment mounting space, up to 14” of depth and includes equipment mounting brackets, fill plates and mounting hardware.